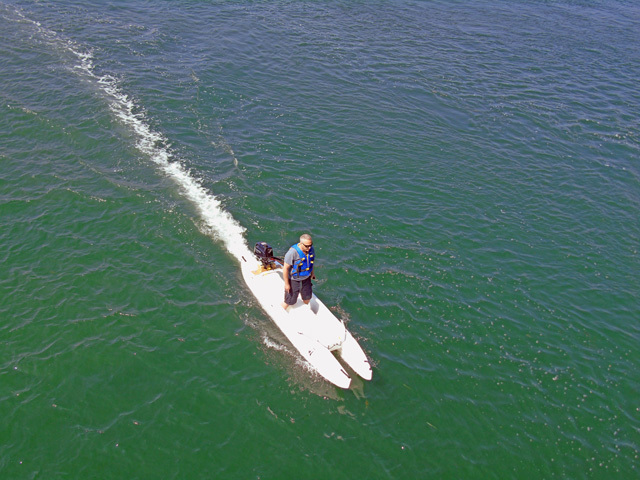 Ideally, a microskiff should allow for either a crew of two fishermen or a solo fisherman to launch, beach, motorize, fish and paddle in any type of water, whether standing up or seated. This means that such a fishing boat should be highly stable yet narrow enough for effective paddling. Only the patented, catamaran-style Wavewalk™ from the new 700 series offers to work as a both a full tandem and solo skiff in the sense that it works perfectly well for one person too, when the second crew member is not present. The fact that the W700 features two long and narrow catamaran-style hulls helps it track better than other craft of similar size, and that helps poling as well as paddling it, with either dual-blade (kayak) paddles or single-blade paddles – canoeing style. The hulls and cockpit opening of the W700 are long enough to allow for dropping extra-long paddles in them. 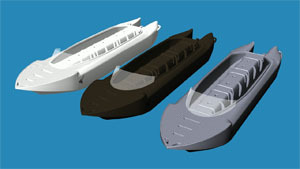 The redefined microskiff is trailer-free I.E. easy to car top even for one person, suitable for choppy water, skinny water and vegetation-rich water, and it accommodates two full size fishermen who can fish standing in comfort. It can be easily and comfortably driven with a powerful outboard 3.5 HP motor, as well as with electric motors. 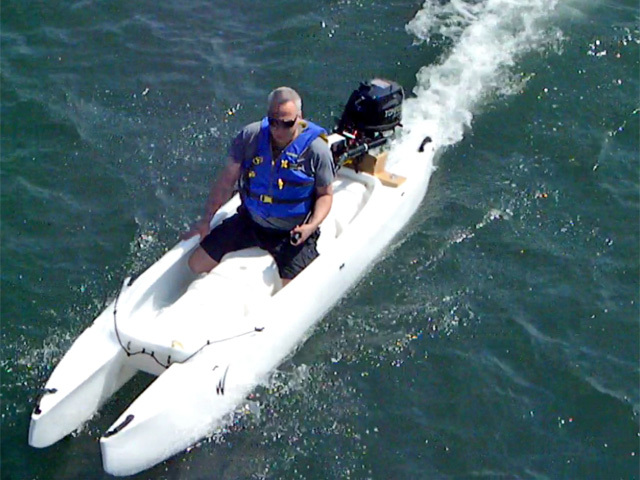 One or two people can easily paddle this microskiff either in a kayak-style (with dual-blade paddles) or in the traditional canoeing style, and it lends itself to poling more easily and effectively than any other microskiff does, including solo skiffs, I.E. microskiff for just one person. Such is the new Wavewalk™ 700, and it comes in various colors including all white, which is the traditional color for this class of small fishing boats.